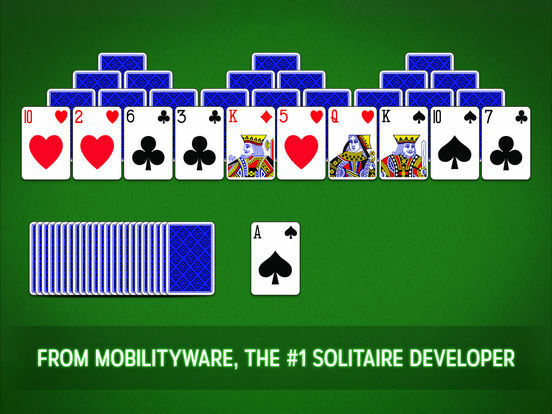 When it comes to card games it doesn’t get much more classic than the game of Solitaire. 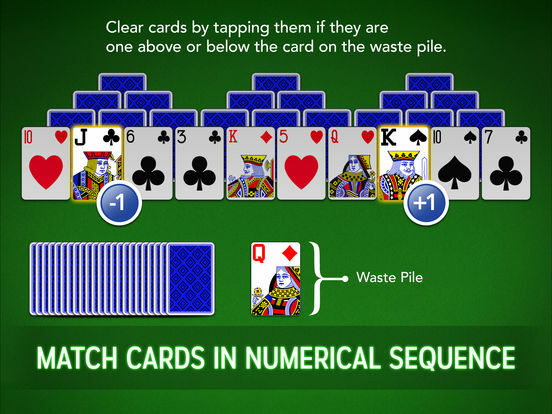 This is a wildly addictive card game that is very easy to understand but isn’t so easy to master. 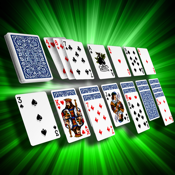 There are a variety of versions of the game and different levels of difficulty just to keep things interesting and you can find some of these options in the following list of Solitaire apps. 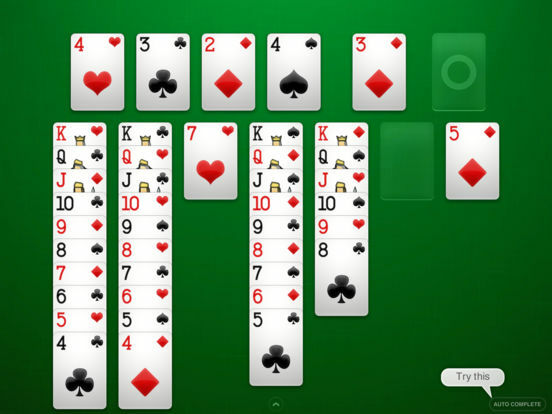 Here’s a wonderful option for all of you solitaire enthusiasts out there. 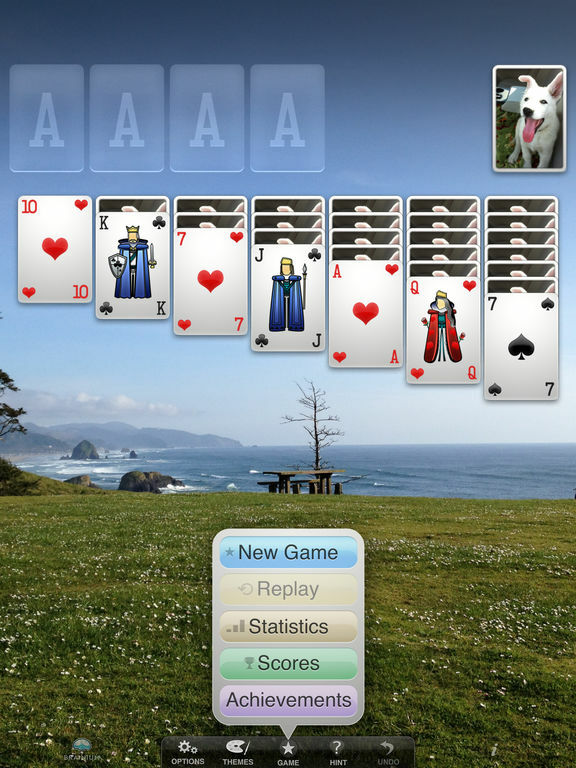 TriPeaks has gone and create a solitaire app with plenty of cool features and exciting possibilities. 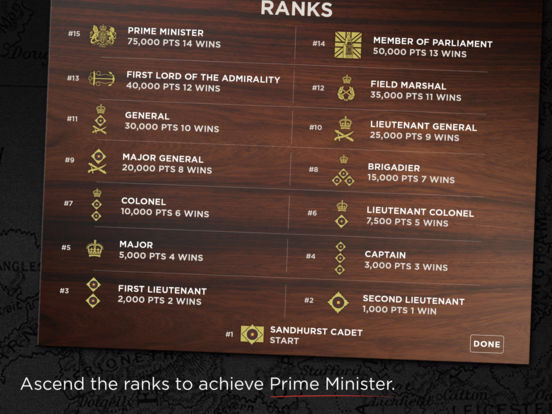 Users can customize the backgrounds and cardbacks, resize the cards to view easier, play in portrait or landscape mode, move up the leaderboards, earn achievements, view your stats and more. 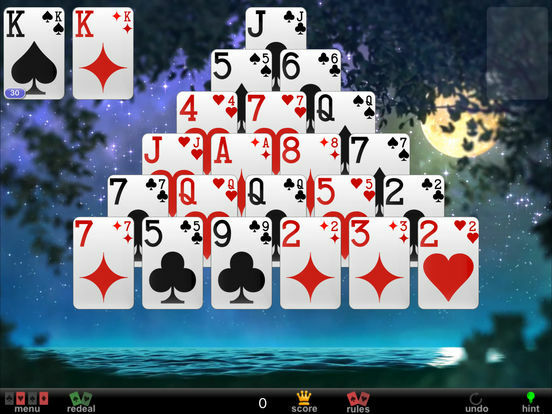 Play an unlimited number of hands, enjoy the unique animations and, if needed, use the Undo or Hint buttons for help. 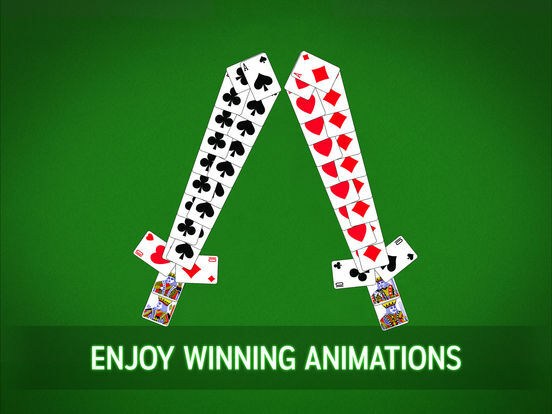 This app has many cool features that will definitely entice even the fair-weather players. The game has stickers for iMessages, Daily Challenges, Theme Packs, an option for the game to show you how to win, leaderboards, 3D touch and portrait or landscape modes. You can have custom card backs or backgrounds, unlock achievements, right or left handed play and in-game saving. 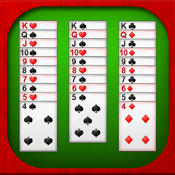 Enjoy other features like unlimited Undo, Multiplayer Solitaire, Draw 1 or 3 cards and even view your statistics. 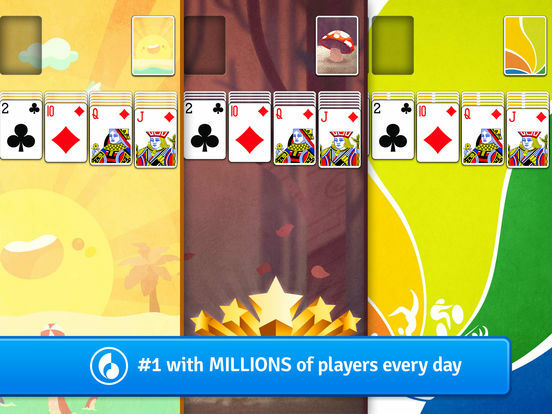 Our favorite feature is competing against other players on the same hand. 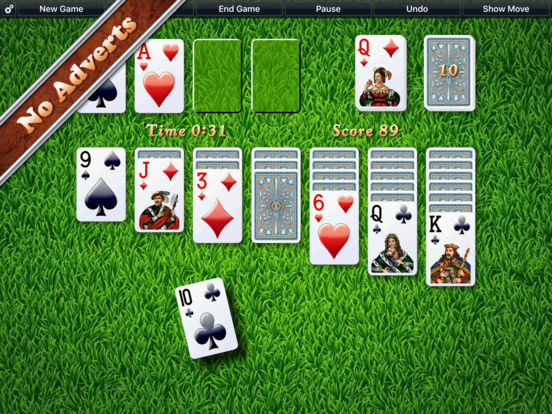 It challenges the players to solve the game as quickly as possible to earn the victory. 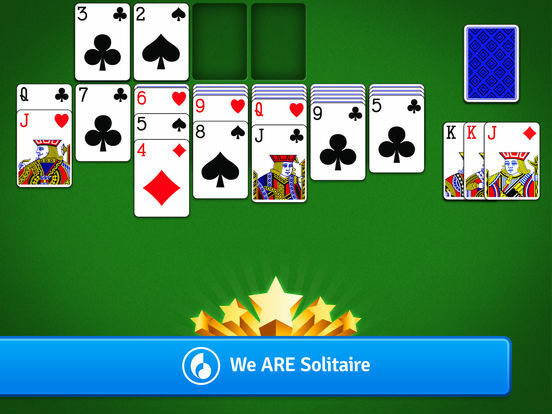 There's nothing like finding a solitaire game that performs smoothly and responsively, features clean and crisp graphics, and has just the right amount of tools and features. 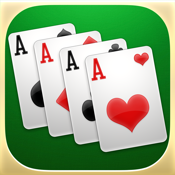 The Card Shark Solitaire app is sure to leave players feeling satisfied thanks to the 3D graphics and the ability to engage Vegas scoring. 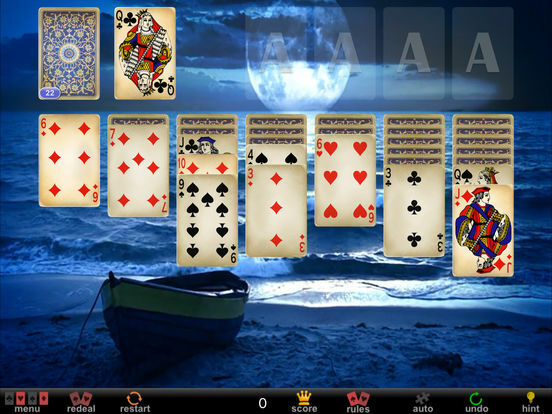 You can play the game while listening to music on your device, and the cards are large enough that any size of fingers can easily tap on them. You'll have the option to choose from different card tables, backs, and fronts, or you can add your own photos to the cards. The redo and undo tools come in awfully handy and the fast load time means you're never going to have to wait around. 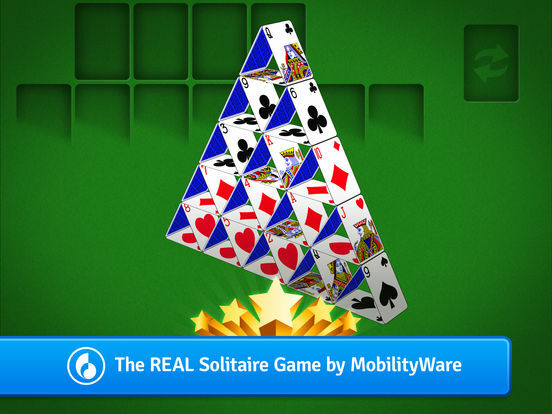 What’s better than 1 free Solitaire game? 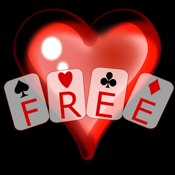 The answer is 5 free Solitaire games, like what’s found in this cool app. 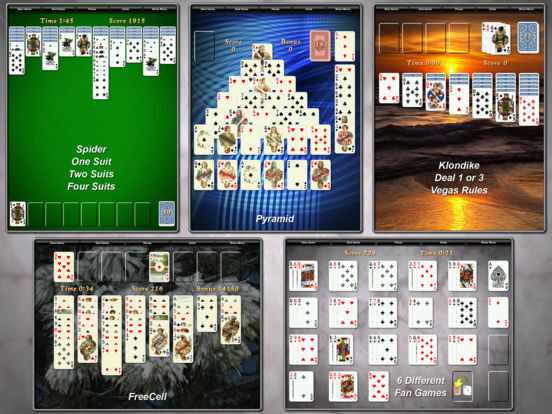 The games that are available in this free iPhone Solitaire app are Freecell, Golf, Klondike, Pyramid and Yukon. So, you have all of your favorites in one place and don’t need 5 separate apps just to play these games. The app is in HD Retina with appealing sound effects. There are wonderful backgrounds and fireworks for when you finish a game. Who doesn’t love fireworks? For those that are unfamiliar with these games, there’s a Help section detailing the rules of the games. 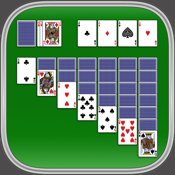 If you enjoy the game of Solitaire but are finding it a bit dull lately the Full Deck Solitaire will offer enough options to keep you busy for quite a while. This app features 63 unique versions of the game and your statistics are kept no matter which version you play. You can view your statistics displayed on a graph any time you like. During the game you'll find all the tools you need displayed in clear view on the bottom of the screen. Because some of these versions can be tricky there is a hint system to help you get through the games. Customize the look of the app by picking your wallpaper and background. 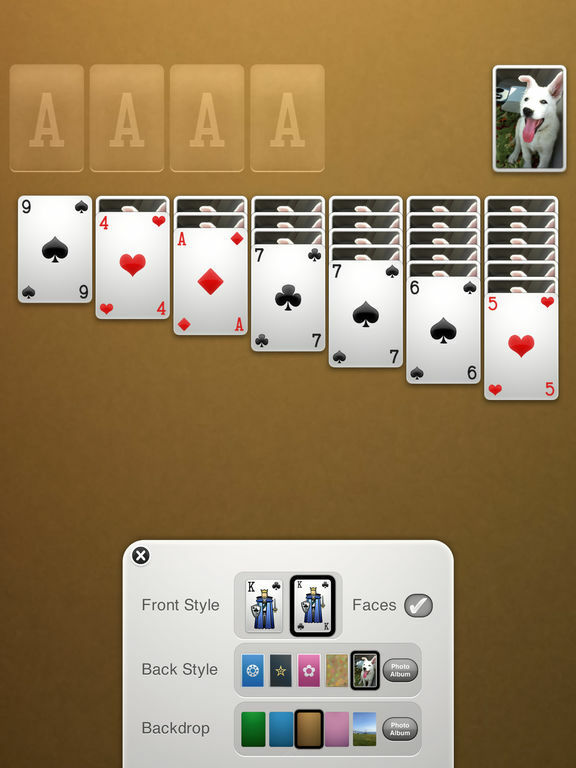 Solitaire Arena is a free solitaire iPhone app that enhances the overall excitement of the classic Klondike variation. 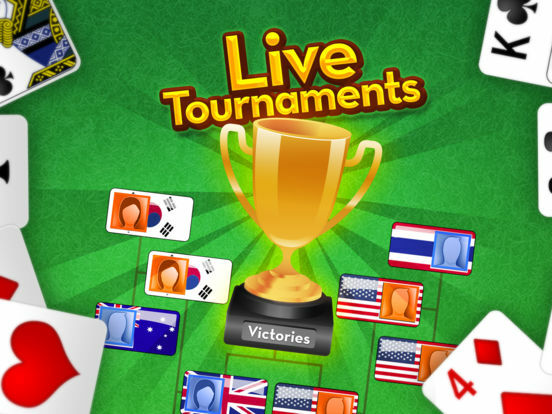 This app offers tournaments all day which include up to 8 people. 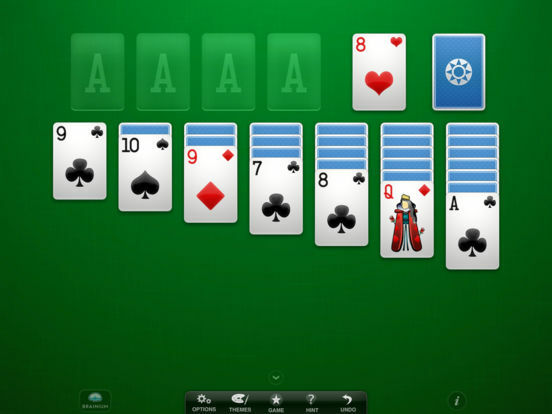 Additionally, there’s the option to play against someone else or just play against the computer by yourself. 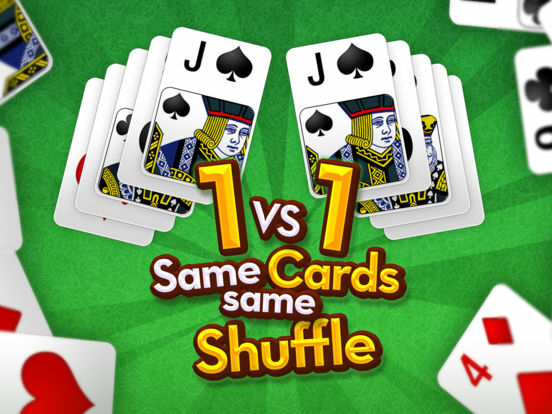 The cards are easy to see, shuffle and display smoothly, just one tap sends the cards to its place, drag and drop, hints for moves, unlimited undos, Facebook integration, GameCenter and Leaderboards. 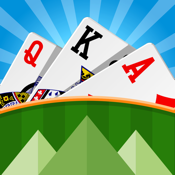 This app makes Klondike solitaire more engaging and fun. There are in-app purchases with this app. 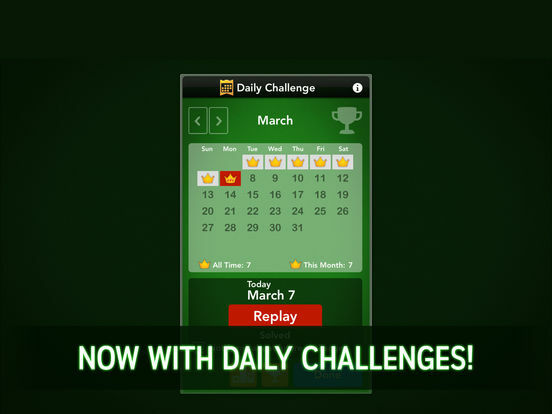 It's time to shake things up a bit and the Solitaire City (Ad-Free) app is doing just that. 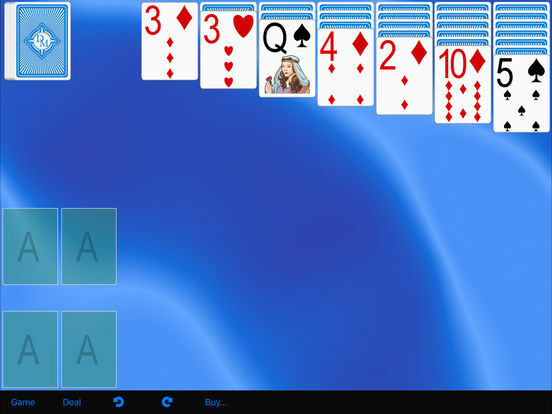 There are an incredible 60 different versions of solitaire to play in this app giving users plenty of variety. No matter which game you choose they all have high-resolution graphics that looks sharp and sleek on your screen. As the title of the app suggests there are no ads to clutter up the screen and this is a universal offering. The app supports Game Center, keeps track of your statistics, and when you find yourself stuck in a game you can use the "suggest a move" feature. 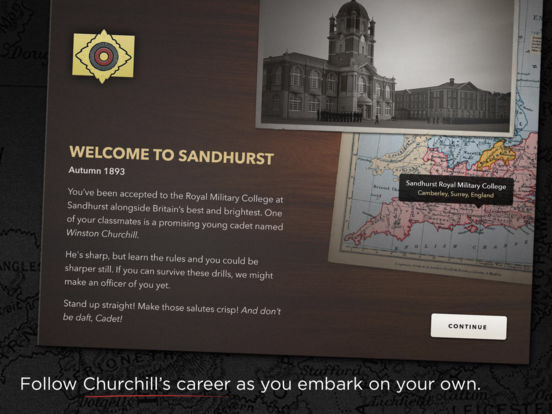 You'll find interactive instructions for each version of the game and there are lots of opportunities to customize the look of the app. 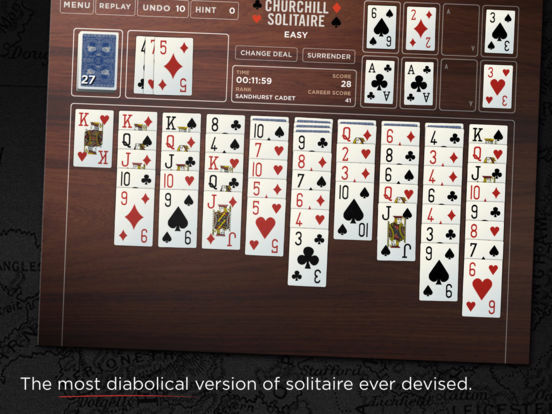 The developers claim that this is the most “diabolical version of Solitaire ever devised.” With that claim, you have to download the app just to see what it’s really like. 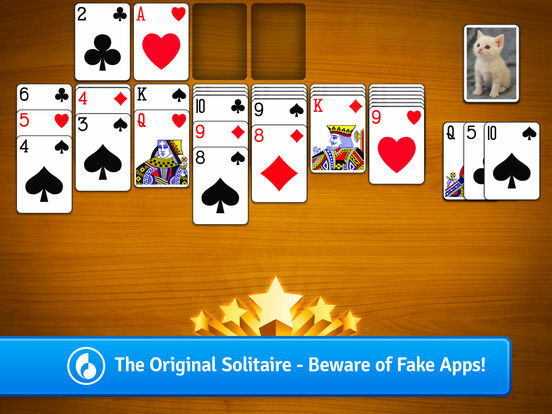 The app offers free trials at playing this game. However, when you get hooked, you will need to buy some in-app purchases to unlock full features and content. 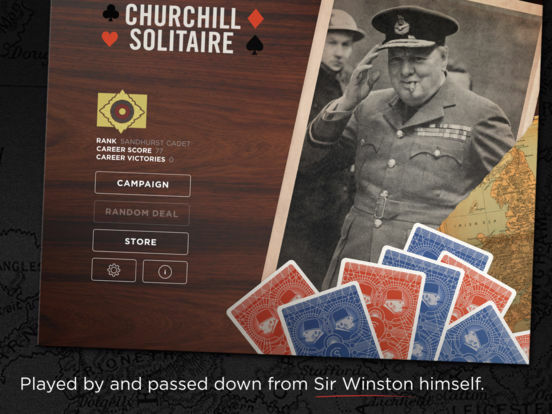 There are 200 numbered campaigns, challenging gameplay, Social Media integration, Video and audio of Winston Churchill, badges and ranks, iCloud support and sync, GameCenter and more. 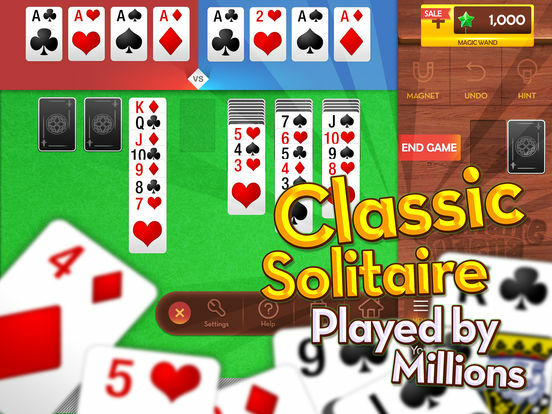 It's time for one of the most challenging and addictive card games there are, Solitaire, but this isn't just your average game app because this one provides players with all kinds of fun options. 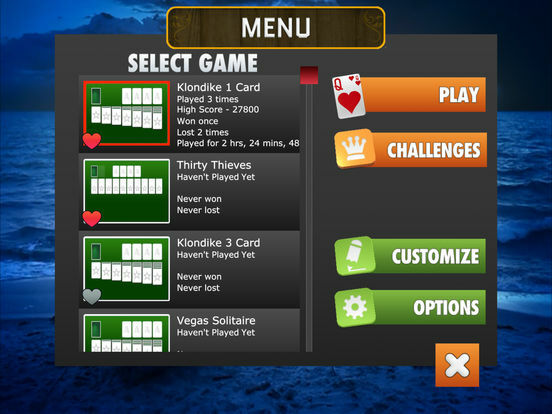 The ⋆Solitaire+ app gives players the chance to play the classic version of the game, also known as Klondike. Just because it's the classic game doesn't mean it's boring though as this app has been made to look and perform in a modern way. 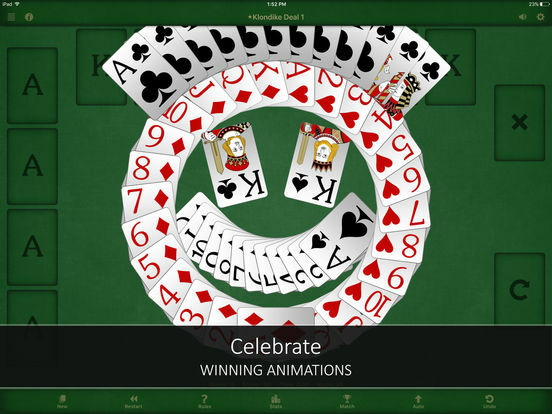 Choose between three- or one-card draw, get hints if needed, drag and drop or tap on your cards, there are timers and statistics, and of course you can customize the look of the deck. 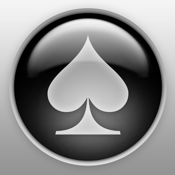 The app supports Game Center, Leaderboards, and Achievements and you've got the ability to hide or show the status bar. 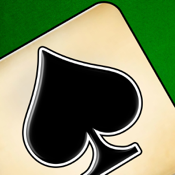 If you're getting tired of the same old same old when it comes to solitaire there are plenty of ways to inject some life and modern twists into the game. 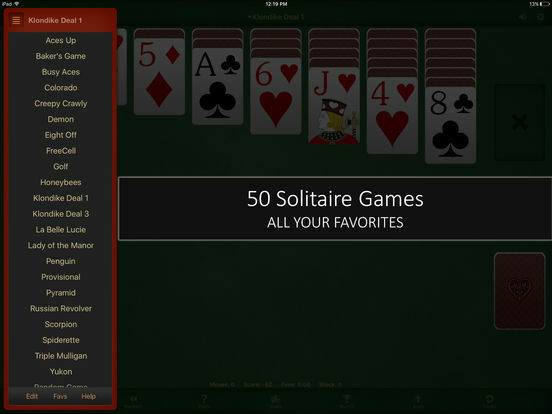 The Solitaire * app provides players with 36 of the most frequently played versions of the game and it's all free. 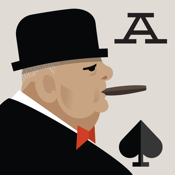 These games all feel unique and challenging in their own way and are sure to change how you look at Solitaire. 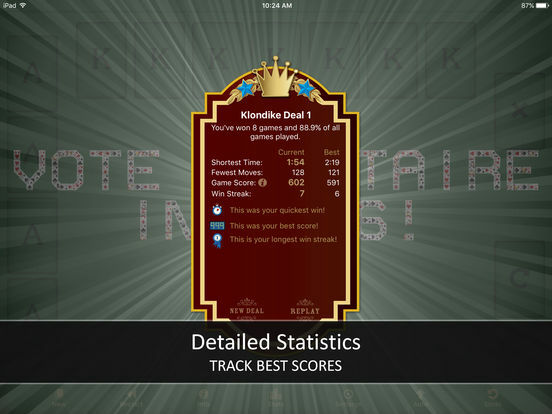 Some of the features include an auto-save function, an auto-resume to your last display, the app keeps track of your statistics, share your score on Twitter and Facebook, and let the app auto-complete your moves. 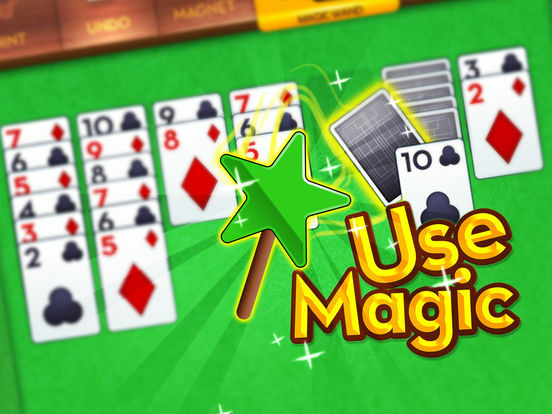 The undo feature allows you to wipe out the last move, the app supports Game Center, and each of the versions of the game come with the rules so you can learn them all. 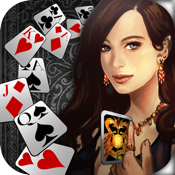 Check out our app review for more details on this cool Solitaire game. Here at Apppicker we love options. 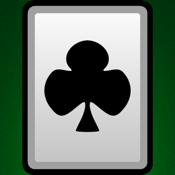 And, this app offers plenty of options for card playing enthusiasts out there. 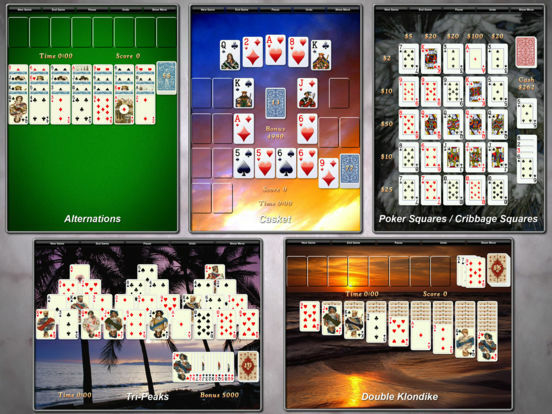 There are 50 Solitaire games that includes all of the popular variations. You can play in Portrait or Landscape mode and the app has plenty of options for settings preferences like speed and color. 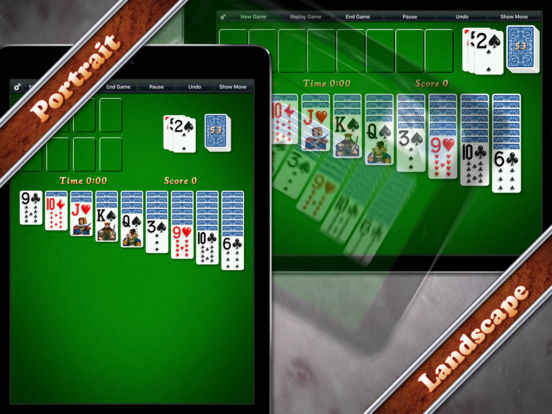 Learn all the rules to the games, detailed statistics, GameCenter, Leaderboards, Favorites, right or left hand play, Timer, scoring, track your moves and much more. 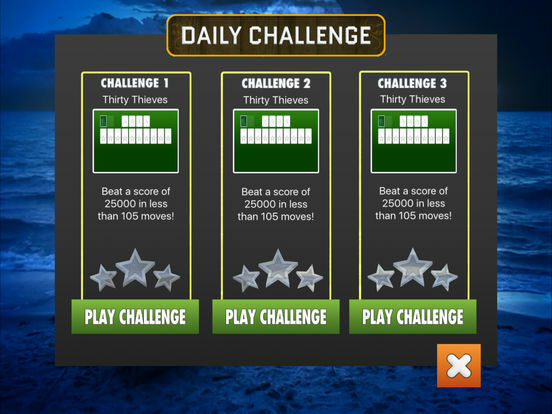 The gameplay is easy with simple tap movements. 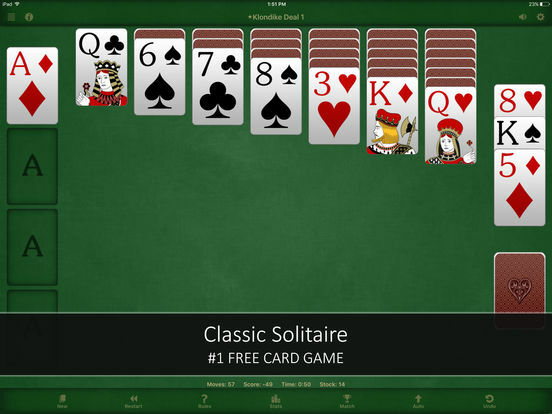 A solid option for any solitaire fan.